This incredible resort is close to numerous shopping centers and shopping plazas. You can spend a day or two of your well-deserved vacation visiting local boutiques that specialize in unique and handmade items that make fantastic gifts for friends and relatives back home. Visit the outlet mall near Cypress Bend for great deals on clothing, home goods and more. Throughout the area surrounding this inviting resort, you will find shops that cater to beach lovers and feature everything from swimsuits to boogie boards. When you and your family stay at Cypress Bend, you can dine at one of the many restaurants in close proximity. There are so many restaurants to choose from near this peaceful resort in North Myrtle Beach, South Carolina. From seafood to soul food, you and your family will find a wide array of tastes to try at the local restaurants near Cypress Bend. Relax and let one of the excellent chefs at a restaurant close to your exclusive resort cook dinner for your family. With an overwhelming number of options, you are sure to find an enticing eatery that pleases everyone close to your North Myrtle Beach condo rental. Prepare yourself for peals of laughter and nonstop smiles as you explore North Myrtle Beach, South Carolina. Your popular North Myrtle Beach resort is a short drive from amusements such as arcades, miniature golf courses and amusement parks. Have a blast putting around one of the miniature golf courses near your spacious North Myrtle Beach condo rental. You and your family can play games, win prizes and have countless hours of entertainment when you vacation is sunny North Myrtle Beach, South Carolina. You can find all sorts of ways to amuse yourself at the Myrtle Beach Boardwalk and Promenade. The Myrtle Beach Boardwalk and Promenade is near Cypress Bend and has shops, amusements and restaurants. This energetic area near your enchanting resort features fireworks, carnival-like ambiance and live entertainment creating a lively atmosphere that guarantees your family a rip-roaring good time. Tasty treats are a sweet way to celebrate on a hot day so treat yourself to a scoop or two of delicious ice cream and savor the sweetest moments of your North Myrtle Beach vacation with your family. It is important to stay at a North Myrtle Beach resort that has unique and updated condo rentals. Cypress Bend offers guests the opportunity to experience the finest points of resort living. 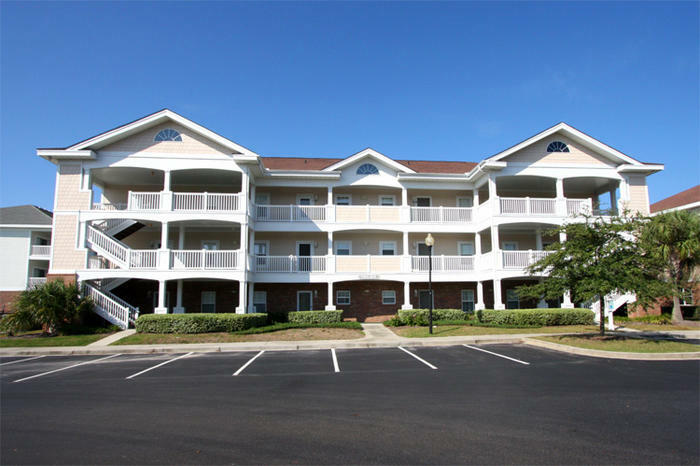 This contemporary North Myrtle Beach resort has well-maintained rentals with ample space for your adventurous family. You can spend a week or more when you vacation at this modern resort in North Myrtle Beach, South Carolina. Some of the condo rentals at Cypress Bend give guests the option of a monthly rental term during the winter months. You and your family can escape to beautiful weather and plenty of sunshine when you stay at one of these fashionable North Myrtle Beach condo rentals. A charming condo rental in a great location is just what you will find when you book your stay at Cypress Bend. This pleasing North Myrtle Beach resort hosts affordable condo rentals located near all of the famous North Myrtle Beach sights. The excellent location and popular amenities make this attractive North Myrtle Beach resort a superb value. Families can book stay in a sizable condo rental at this impressive resort and be close to beach and everything else you are looking forward to seeing in exciting North Myrtle Beach, South Carolina. With so many entertainment options in the prominent North Myrtle Beach area, you will have no trouble filling your vacation time with memorable and engaging activities when you stay at Cypress Bend.